In November 1985, a young man named Joe Willie Dickens, Jr. realized a long-held dream when Dickens Funeral Service, Inc. officially opened. Prompt, Efficient and Professional was his commitment to the citizens of Edgecombe County and the surrounding areas. 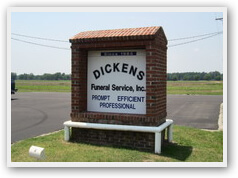 From the very beginning, the goal of Dickens Funeral Service, Inc. was to provide the highest quality funeral services available in this area at a price the average family could afford. To accomplish that goal, Joe W. Dickens, Jr. surrounded himself with the finest staff he could find and instilled in them a sense of pride and professionalism in providing the most caring funeral services to every family we served. 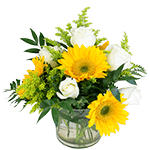 At Dickens Funeral Service, Inc. our mission is to offer the most Prompt, Efficient and Professional service to every family regardless of their purse. We believe that the only reason Dickens Funeral Service, Inc. has enjoyed the success they have experienced is because the families we serve realize WE CARE.